A couple of years after Sims 3's PC release, console owners finally get to join the party. After great success on the PC and Mac, EA has confirmed that it is bringing Sims 3 to the Xbox 360, PS3, Wii, and DS later this year, with new, exclusive features and locations. The 360 and PS3 versions are being designed with online functionality in mind, the Wii version will have an exclusive beachfront setting, and the DS version will let players design custom textures for their stuff. "We're bringing players the best console and handheld game for The Sims franchise to date and are excited to offer a unique experience for all types of gamers on their platform of choice," said EA executive producer Sam Player. 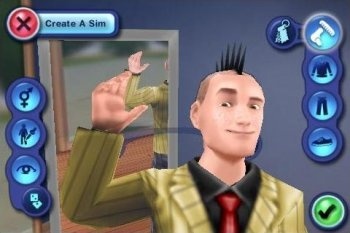 "Building on the unique traits system, living open neighborhood, lifetime wishes, and endless customization options, we've tailored each platform of The Sims 3 with exclusive features to allow for even more control, creativity, and connectivity."